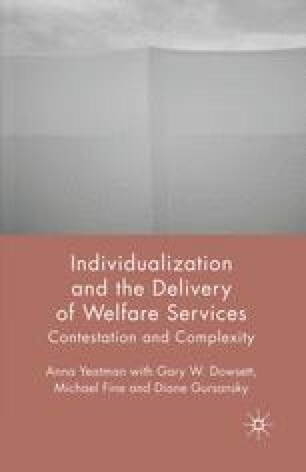 If the client’s sense of self is to be attended to and worked with in the delivery of welfare services, the service professional/worker has to be present as the self that s/he is. If the service professional/worker does not assume a lively and attentive individual presence in relation to the service client, it is unlikely that the client will feel invited to assume presence as the unique individual that s/he is in the relationship. The capacity to attend to the individuality of the client is foremost and it guides how the technical and procedural aspects of the service in question are mobilized and brought to bear on the client’s situation.